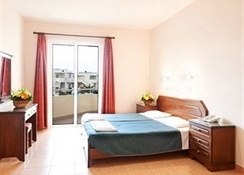 Ideally located on the beach in Santa Helena is particularly suitable for families with children. 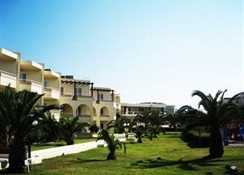 The beach next to the well maintained pool area is also suitable for children with private pool and playground. 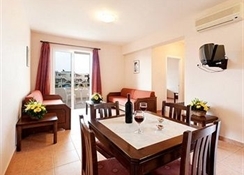 Apartments and rooms are spacious and they have a number of buildings. 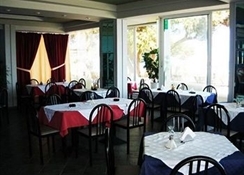 Platanias restaurants and shops are a short walk away, this hotel is next to the bus stop easy access to Chania. The nearest mini market is an apartment next to the hotel. 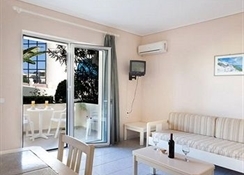 The hotel Santa Helena is a picturesque, A' Class apartment complex built in the traditional architectural style of the islands, on the beautiful beach of Platanias in Chania. 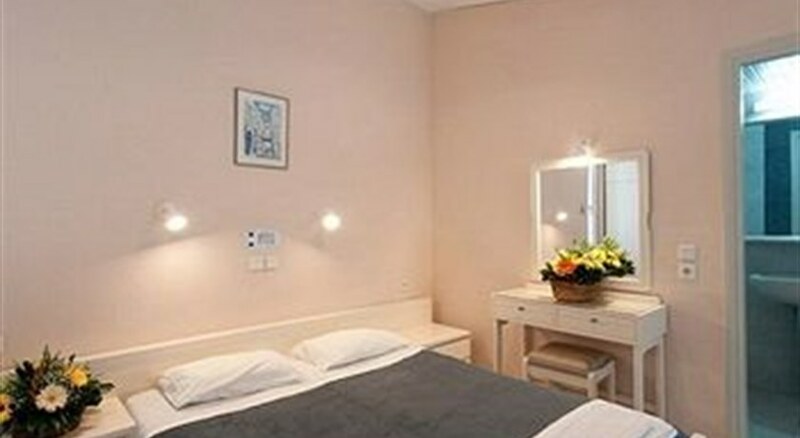 Comfortable rooms with the magnificent view and the high standard of services will definitely make your stay memorable. You will be spoiled by an environment which has been designed both for relaxation & pleasure and which effortlessly blends the two with the closest attention to detail. 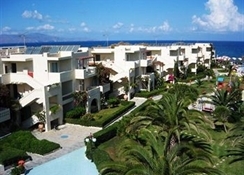 Santa Helena Village is situated by the sea in an idyllic landscape within a few minutes walk from the market and the business center of Platanias town, 16km from the town of Chania, 17km from the Hospital, 32km from the Airport and 22km from the Port.